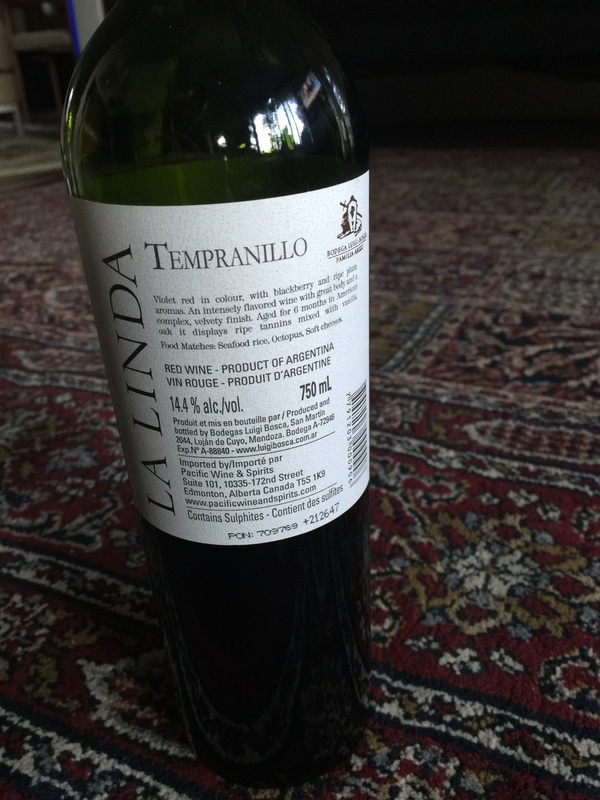 Finca La Linda, an Argentinian Temperanillo from the Bodega Luigi Bosca. Familia Arizu. Oh how I love countries where the Español rules and not to mention that Linda was the name of my first step mom. Or rather the lovely, kind woman my dad spent a decade with, but never married, post my mom. I was walking around my local small town grocery store/liquor outlet and came upon this little gem. Normally I hang out in the two foot Spanish section as their offerings are more flavourful and budget friendly, but something made me turn the corner to Argentina. So I 'accidentally' drank with the bottle with a 'friend'... Before writing a review... And like an amazing first date that I swore I had imagined, I went back in for seconds. Dark cherry top. t t t t tobacco and spank me leather with some greenery, but yet a nice light finish. I also detect some berries on top during the initial sniff/drink. A bit more cherry than my taste wants but.... I keep drinking it. I'm not sharing this one so you'll have to let me know what you think. La Linda with the background treatment. In case you need the barcode or import... Out of Edmonton. Pacific wine and spirits.